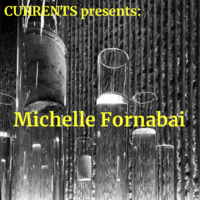 Michelle Fornabai is a conceptual artist, sometimes mistaken as an architect, who forms ideas in ink and concrete. Her "malpractices" explore art mistakes made within architectural standards of practice, eliciting unexpected results and poetic experiences from banal aspects of conventional construction. As she reads between the lines of material standards and specifications, enacts indeterminate instructions in mock-material tests and composes projective drawings in ink with Rorschach blots, her concrete poems materialize the ineffable—innate properties of perception, sensory and musical experience, impossibility and paradox. Her conceptually layered works locate atopia within inhabitable experiences that retain a sense of placelessness and remain unclassifiable.